Raise to your preferred height using one finger with this over bed table with castors. 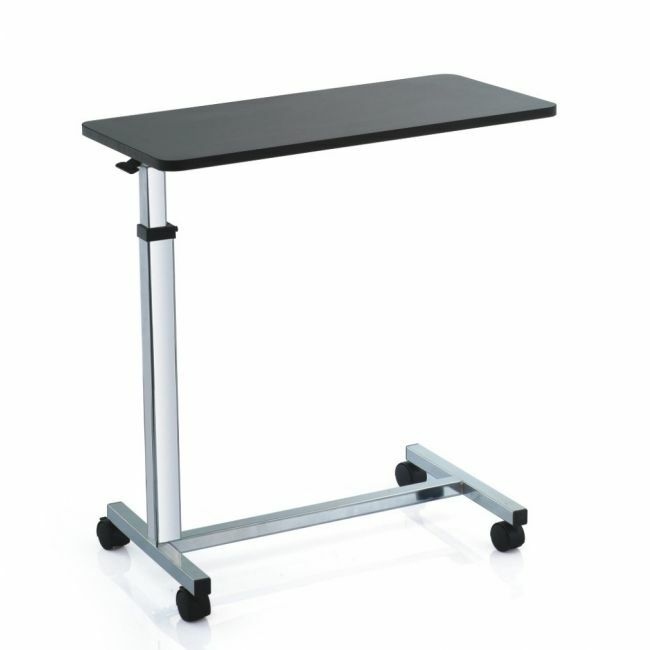 The height adjustable over bed table with castors is designed to provide a generous table area from the side of a chair or bed. It's fully height adjustable and ideal for resting a drink or magazine. Will fit under furniture with a clearance of 9cm from the floor and wipes clean with ease.